Forget the challenge. Worry about the addiction. Pilates Unlimited is a fully equipped Pilates studio in Vancouver, B.C. Canada, offering both private and group classes on the apparatus and mat, as well as on site corporate mat classes. Monique has been teaching Pilates since 1995, after completing a comprehensive 800+ hour training program with Dianne Miller in Vancouver, obtaining her certification through the Physical Mind Institute. She is a founding member of the Canadian Pilates Association, sitting on its’ board of directors for 3 years. Monique was involved in creating Pilates instructor standards and an examination for the BCRPA. In 1997 Pilates Unlimited was established (the 2nd studio in Vancouver). 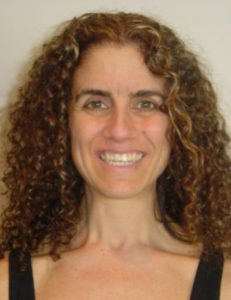 In 1999 Monique was awarded the Entrepreneur of the Year award, and Pilates Unlimited has since been voted, by Vancouverites, as the Best Pilates Facility from 2003 to present.